Whether you're looking for a sedan with a louder bark, a bigger bite or both, the 2009 Dodge Charger might quicken your pulse before you ever turn the key. The fact that underneath the Charger is a practical family sedan shouldn't spoil your fun. 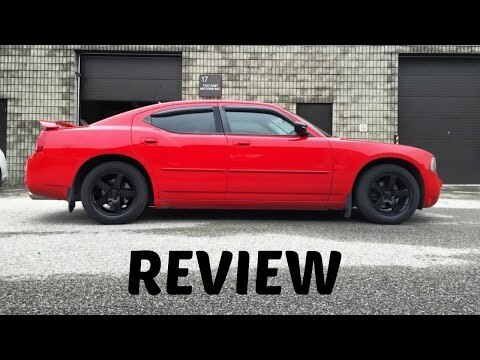 2009 Dodge charger review. From one owner car. I love the body style of the car. It drives so good. It drives like an Cadillac., smooth riding. I love the way it handles on the road. It takes curves very well. It has a lot of horsepower. So if you want a car with speed this is the one. The radio and CD player is just standard nothing special. I does not have GPS. I believe you can get it as an option, not sure. It has so much leg room in front and as well as in the back. This car is so roomy. The trunk is so big as well. It also has where you can lay the back seats down as well. That will give you another more space to haul large items as well. I love this car so much. The only issue I have had with the car is the water pump. Had to have it replaced. I also was told to replace the timing belt as well. They said it would make the engine last longer if I did. So I did it. Haven't had no other issues with this car at all. Just standard oil change and other little thing nothing major at all. It's perfect to me and i can depend on it in doing my daily tasks. Likes. Bluetooth connectivity. Ability to listen to text messages. Head-up display. Split-screen views that allow for music and traffic information, for example, to be seen on display units simultaneously. Ability to answer phone with button on steering wheel. Ability to unlock/lock doors and start car with phone. Concierge services. Dislikes. Some navigation features cannot be used while vehicle is in motion. Passengers should still be able to input commands in these cases. Navigation is clunky compared with the phone. Dealerships need to be more thorough in explaining features. Dodge charger - love the car. Even though I have had it for a few years it still runs well. Having the full coverage warranty has really made a difference on my view of the vehicle when something happens because everything will eventually break down. I travel often and this car has been very reliable. I find every seat comfortable. The charger I have is very basic concerning the features it has within the car, but all you have to do is be adaptable and it is manageable.